Amy Einhorn Books/Putnam, 9780399157189, 432pp. 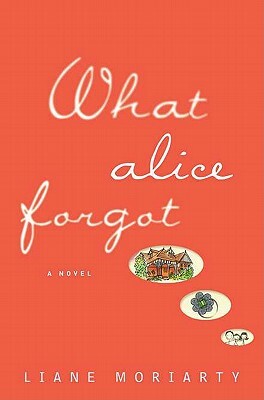 Alice Love is twenty-nine years old, madly in love with her husband, and pregnant with their first child. So imagine her surprise when, after a fall, she comes to on the floor of a gym (a gym she HATES the gym ) and discovers that she's actually thirty-nine, has three children, and is in the midst of an acrimonious divorce. Liane Moriarty is the author of two novels, "Three Wishes" and "The Last Anniversary," both of which were published around the world and translated into seven languages. She is also the author of the Nicola Berry series for children. Moriarty lives in Sydney, Australia, with her husband and two small, noisy children.